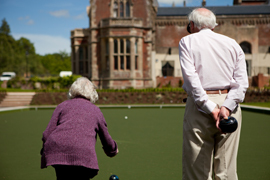 You can enjoy a wonderful eclectic mix of activities throughout the year within the Holy Cross retirement community. These are open to those living independently in the Priory and St Mary's Apartments, as well as the care home. There are regular weekly activities as well as seasonal events, such as a Chinese New Year Feast and Christmas Pantomime!